This is also the time of year where we run across Sodwebworms, Fleas, Ticks and Chiggers. Use Cyfluthrin or Deltamethrin when needed. Want a Green Summer Lawn? 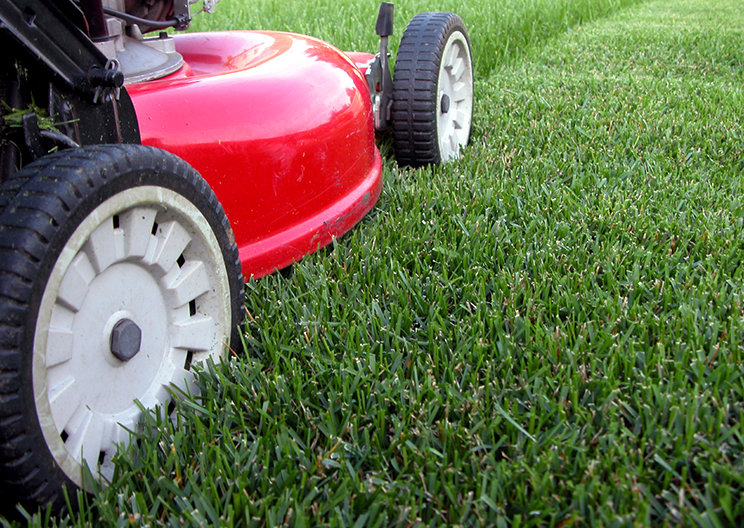 Lawns require 1 to 1-1/2 inches of water per week. The higher the temperature the more water will be needed. Only water when the lawn shows a need; such as a blue purple color, folded or rolled grass blades or a footprint that doesn’t spring back. Water early in the day: 5am to 10am. Watering after 3pm or later can cause lawn diseases. You want to mow lower in the Spring to cut off that top layer of dormant grass as well as allowing the sun to warm the early roots of new grass.